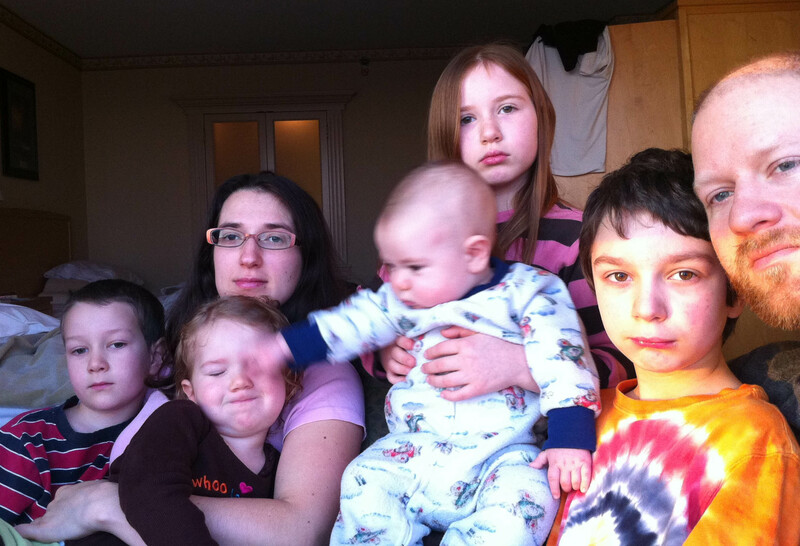 PAUL WRITE: Having been raised as a Roman Catholic I have a few questions. What do you mean give it (the Upper Room) back to the Catholic church? When did they ever “own” it? THEY OWNED IT FROM THE 1300’S UNTIL THE JEWS TOOK POSSESSION IN 1948. GOOD TO LEARN YOUR HISTORY. Also, I am constantly being given the impression that Francis is interested in peace. If that is truly the case, why then will he not request that Mr. Abbas and other muslim terrorists like him recognize Israel’s right to exist? HE DOES AND THE CATHOLIC CHURCH ALSO RECOGNIZES ISRAEL’S RIGHT TO EXIST. AGAIN, IT WOULD BE GOOD TO LEARN YOUR HISTORY. And why does he (Francis) not insist that Jesus is the only way to the Father? Scripture is clear. HE DOES AND SO HAS THE CATHOLIC CHURCH FROM THE BEGINNING. AGAIN, IT WOULD BE GOOD TO LEARN WHAT THE CHURCH TEACHES BEFORE ASKING SUCH QUESTIONS THAT ONLY SHOW AN IGNORANCE OF THE FACTS. If one is ashamed of the Gospel (or afraid to offend those who deny Jesus) Jesus declares that such a person will not be received unto the Father. AMEN BROTHER. GOOD CATHOLIC TEACHING. THE POPE TEACHES AND PRACTICES THE SAME. Being raised as a Roman Catholic I fully understand that the Scriptures are considered no more important than “tradition”, but I would hope that he (Francis) would put Jesus above respect for other religions. MY GOODNESS, WHAT IGNORANCE OF CATHOLIC TEACHING!!! YOU SHOULD HAVE LEARNED WHAT THE CHURCH ‘REALLY’ TAUGHT BEFORE LEAVING THE CHURCH. It’s pretty disturbing. I actually heard a priest on a news report say that Francis will “do his best to keep it Jesus-style”. What in the world kind of talk is that? Why aren’t more Catholics concerned about this? SHOULDN’T WE ALL TRY TO KEEP OUR LIVES AND ACTIONS “JESUS-STYLE”? DO YOU DO IT PERFECTLY OR SHOULD YOU TRY HARDER TO DO EVERYTHING THAT WAY? REMEMBER THE POPE IS A HUMAN BEING LIKE THE REST OF US AND HAS TO WORK AT HOLINESS LIKE THE REST OF US DO. I WOULD SUGGEST YOU GO BACK AND LEARN A BIT MORE BEFORE SHOWING HOW LITTLE YOU REALLY KNOW. First, I appreciate you visiting my blog and commenting. You are welcome any time. Second, I would like to comment on your thoughts below. I too have been in the Upper Room many times. In biblical times it was within the walls of Jerusalem, even though today it is outside the walls. 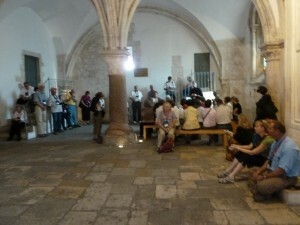 Jews came to the city of Jerusalem for Pentecost and therefore the Upper Room was an appropriate place to be for the festival. There is no indication they left that room until the prayers were answered and the Holy Spirit came. Acts 2 begins, “When the day of Pentecost had come, they were all together in one place. And suddenly a sound came from heaven like the rush of a mighty wind, and it filled all the HOUSE where they were sitting.” They were in a house which the normal reading of the passage would imply was the same house where they had been praying since the Ascension. There would have been room for 120 people in the house. We have fit a lot more than that in the Upper Room. The noise like wind came from heaven and filled the HOUSE where they were sitting and the people of Jerusalem heard the sound and gathered around. The apostles obviously came OUT OF THE HOUSE and preached to the people. And Matthias was not added to them that day since he was already in the room with the 120. Luke tells us there were “about 120 names” in the Upper Room which included the 11, Mary, other disciples and Joseph and Matthias for whom the lots were cast. Matthias was not added to the number of people in the room since he was already there along with the others. And yes, there were 3,000 added that day but no where does it say that the 3,000 were also in the HOUSE but outside yet still within the walls of the city of Jerusalem. Seems pretty clear cut and the flow of the story, the implication of the text and the constant tradition is that it occurred this way. Who was chosen in the Upper Room? Scripture does support the teaching we have all had at one time or another and that is where the people were on the day of Pentecost. To understand where they were we have to understand the Jewish commands of that time. It’s clear the people were not in the upper room when the Holy Spirit came. Deuteronomy 16:16 states they were to go up to where the Lord would tell them to go, later we find out this is of course was Jerusalem and to the Temple. [Ezra 1:3-4] There were just one hundred and twenty people in the upper room, where Peter and the other Disciples plus some ladies and others making up the number mentioned were. [Acts 1:15] They may have been there when Peter spoke to them but they all knew they would have to be at the Temple for Passover, Shavuot and Tabernacles. So who was added to their number in the Upper Room? Well according to scripture just one person by the name of Matthias. Just one person was added to their number in the upper room. [Acts 1:26] But there were three thousand plus came to the Lord when the day of Pentecost came and that number has continued to added to up to this day.